Every cooperative customer is an owner of Alliance Communications. One benefit of being a member-owner is receiving capital credits payouts. 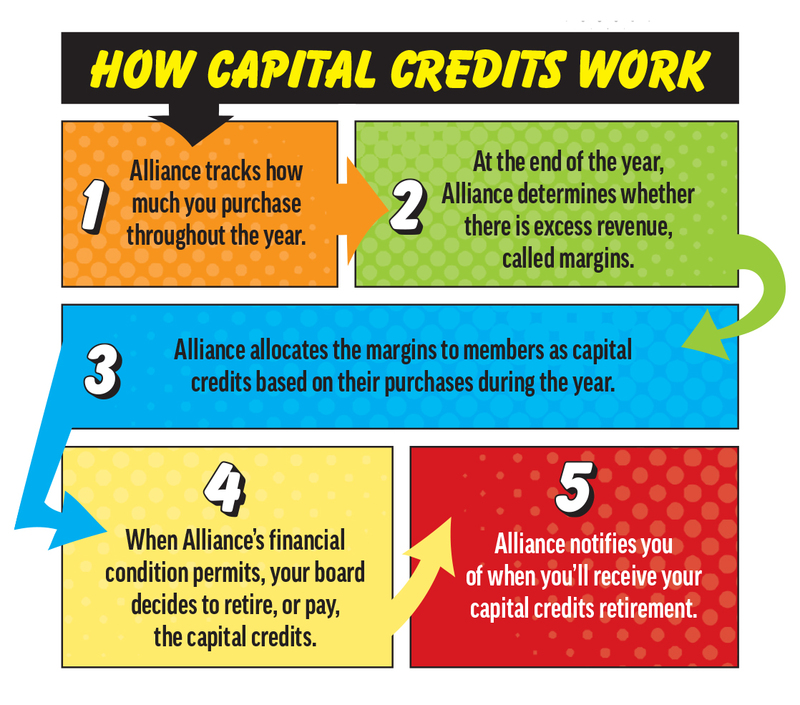 If revenues exceed the costs of doing business, Alliance gives money back to its customers in the form of capital credits checks. Your board of directors approved a retirement of the unretired general capital credits from the years 2006, 2016 and 2017 and of the special allocations from the years 2001, 2003, 2004 and 2005. You will receive a payout if you were a cooperative customer during one or more of those years. The total retirement amount will equal more than $2.22 million. How will you receive your capital credits? • If your amount is $100 or LESS, you will receive a credit on your April 1 bill. • If your amount is MORE THAN $100, you will receive a check in the mail during the week of April 22. The amount of your payout depends on how long you’ve been a cooperative member and the quantity of services you’ve purchased from Alliance. For example, longtime customers who’ve purchased multiple services will receive the largest payouts. 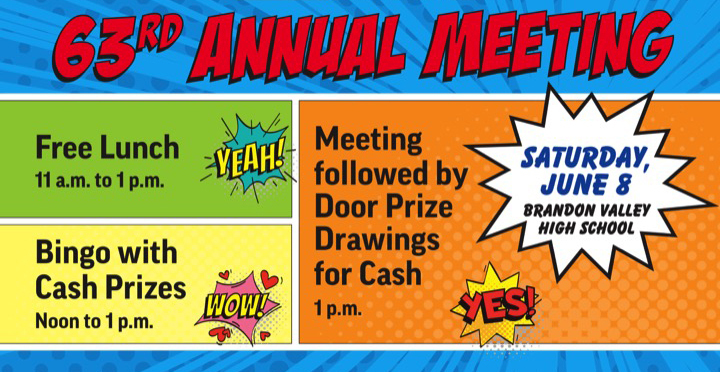 Thank you for your business, and please join us for the annual meeting on Saturday, June 8. If you have questions, dial 611 from any phone with Alliance service or call (605) 582-6311 from your cell phone. Customers who live in the following communities are cooperative members: Alcester, Baltic, Brandon, Carthage, Corson, Crooks, Garretson, Howard, Hudson, Lyons, Oldham, Ramona, Sherman, Valley Springs, Hills, Steen, Alvord, Inwood, Larchwood, and Lester.